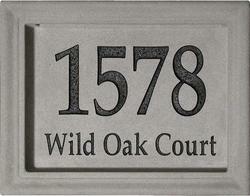 16 1/4" x 12 1/2" x 3 1/4" cast stone address block with deep etched numbers, graphic* (optional), and street name (optional). 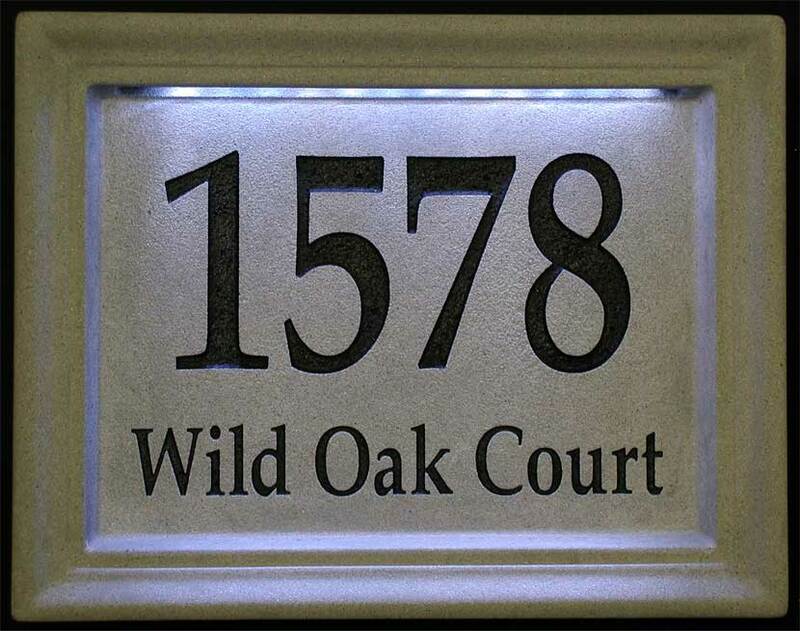 An Illuminated address provides security by allowing emergency personnel to quickly & easily identify your home at night. Illuminated with efficient LED lighting, using only 4 1/2 Watts of power. No bulbs to replace. LEDs can last for 10 years running 12 hours a day**. 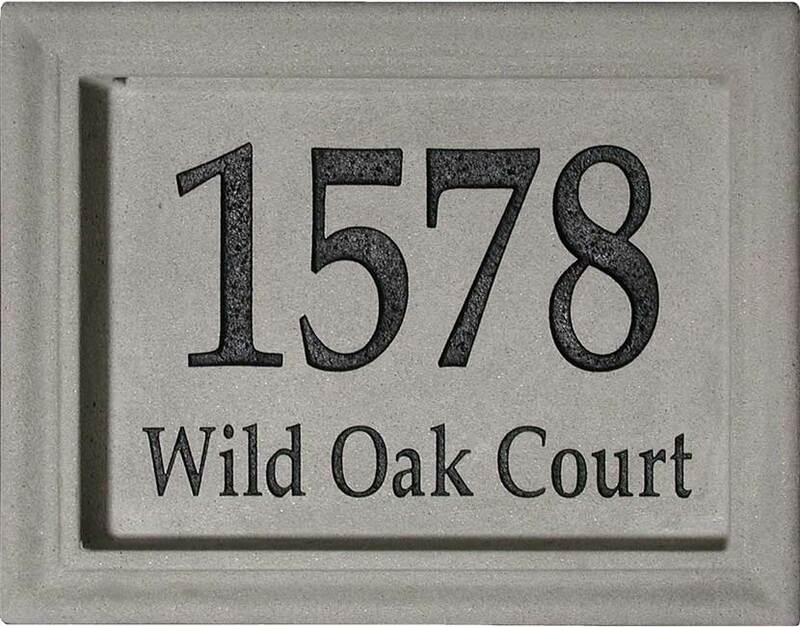 Included Photo control will illuminate address block only when dark. *Custom graphics are available at additional cost, please contact us for additional information. **Based on laboratory tests, 1 year warranty included.